Current U.S. Position and Company Name: Business Development Specialist, Jannus, Inc.
“No matter what I do or say, I can’t thank you enough!! You changed my life. I was depressed and terrified for my future. You gave me hope and helped me to achieve it. I’ll keep supporting GTI and its mission for life!” Those are the words of GTI alumnus Ali Mustafa and they express the immense and real life impact the Global Talent Idaho (GTI) program has in helping people reach their true potential in the USA and Idaho. Ali Mustafa has held so many professional positions by this point in his life, one is left to wonder how he has accomplished so much, so fast. He has worked as a business development specialist, chemical engineer, brand manager sales and marketing consultant, cultural advisor, interpreter, workshop manager…and more. Ali continues to strive to better himself, now pursuing additional college degrees in Material Science and Engineering at Boise State University while also undertaking an online degree in Marketing and Finance Research from Harvard. His life is so full, it seems he must never sleep. Needless to say, his story is very inspirational. 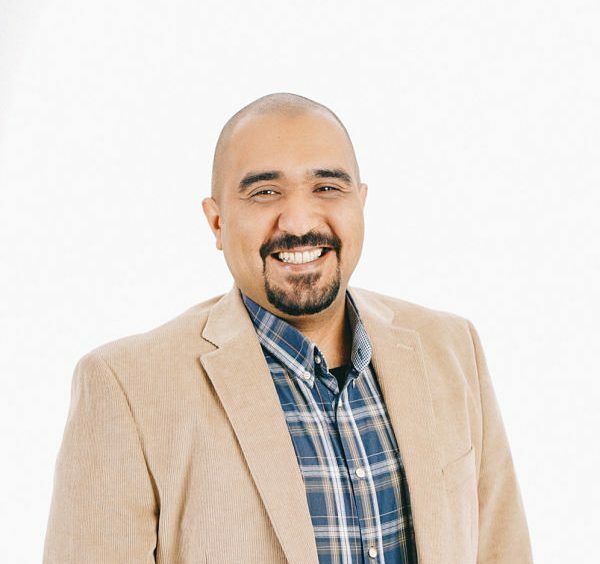 When Ali first came to the United States on a Special Immigration Visa (SIV) after working as a Cultural Advisor for the U.S. Air Force for five years, he found the transition to life in America to be difficult. Initially locating in Lancaster, Pennsylvania, Ali worked as a day laborer with Harley Davidson and was frustrated by not being able to resume his professional career here in the U.S. After being called back to Iraq for another assignment with the Air Force for 11 months, Ali returned to the U.S., this time to Boise, Idaho, where the Idaho Department of Labor introduced him to Global Talent Idaho (GTI). When Ali first came to Global Talent Idaho, he had never written a cover letter or a resume as such tools were not needed in Iraq. Global Talent Idaho helped Ali to develop these skills, and helped him acculturate to U.S. culture, teaching him the important things like marketing yourself in the U.S and U.S. professional workplace norms, in addition to the smaller, more subtle cultural idiosyncrasies that can significantly impact a job seeker’s success in navigating the U.S. professional job search. Global Talent also assisted Ali by setting him up with live face-to-face mock interviews combined with online phone interview training—a challenging interaction for those whose first language is not English. Through such assistance from GTI, Ali became so successfully integrated into life in the U.S. that he secured a position in Boise as a Business Development and Outreach Specialist for Jannus, Inc.’s Economic Opportunity program. He now assists newly arrived immigrants with licensing, paperwork, marketing and securing funds to bring their small business ideas to fruition. And instead of being an interviewee in those mock interviews, he now volunteers with Global Talent Idaho and sits on the other side of the table as an interview coach. Ali is grateful to the City of Boise, individuals, and organizations that have been very supportive in helping new immigrants access the knowledge, training and resources they need to reach their potential, thrive and contribute to the USA, Idaho and Boise.